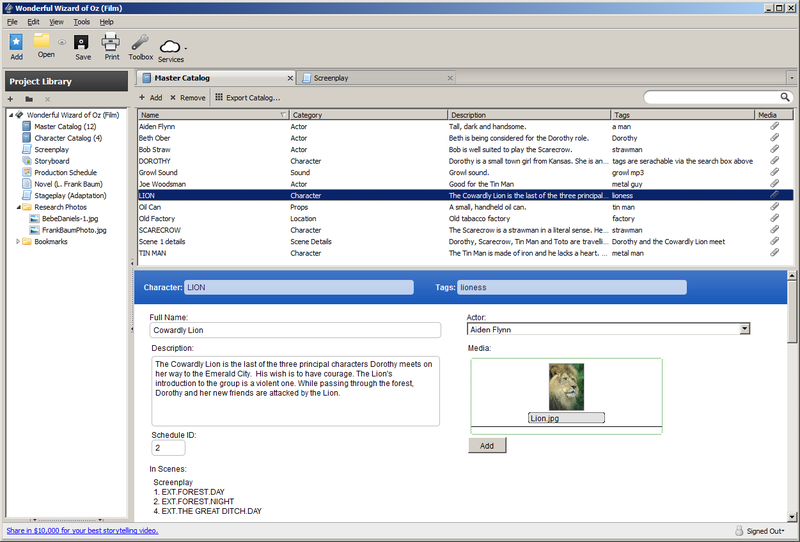 To dabble in scriptwriting without the full $250 investment for Final Draft, Celtx provides a pared-down set of features at a much more palatable price. The full-featured Celtx Plus package weighs in at a reasonable $15 (often $10 on sale via the Celtx company website, and with a 15-day free trial). 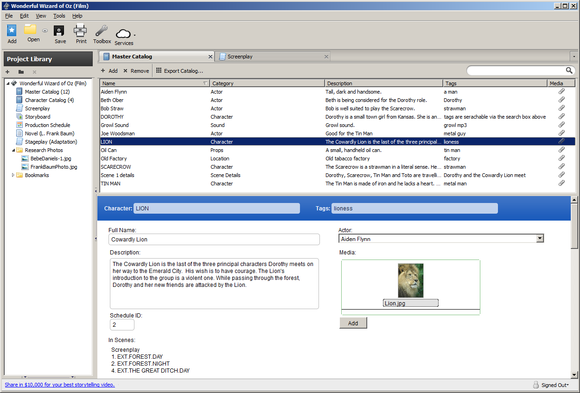 A personal-use free edition centers on screenplays, but Celtx Plus allows for storyboards, catalogs, specialized viewing modes and includes clip art and other extras. 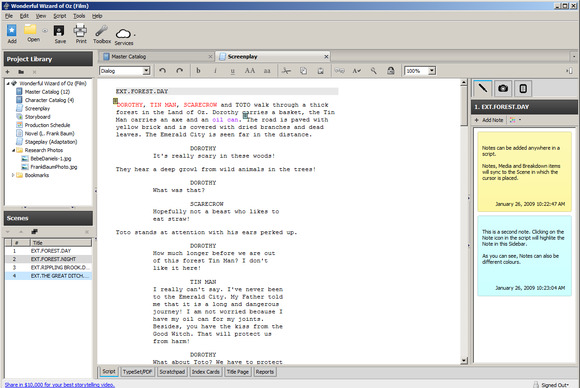 Celtx includes many of the features you'll find in screenwriting software Final Draft, but it costs far, far less. Both free and Plus editions are available for Linux, Mac, and PC. Celtx also offers mobile versions for Android and iOS and hosts the web-based Celtx Edge, which uses the Google Docs model to provide script and other collaborative media writing tools via browser window. Note: The download button takes you to the vendor's site, where you must register to download any edition of the software. Celtx Plus is a one- stop creative writing suite at a price that's no barrier to beginning your magnum opus.